Politics, of course, plays a part. 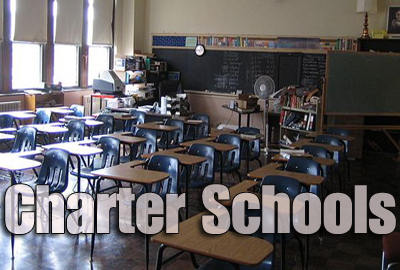 Charter applications are reviewed and approved by the Charter School Advisory Board, composed of members appointed by the Republicans who now dominate state government. Day-to-day operations, meanwhile, are monitored by the Office of Charter Schools, which until last year was part of the Department of Public Instruction. That department, led by an elected state superintendent, has historically been viewed with suspicion by legislators jealous of its independence, and all the more so now because the current superintendent, June Atkinson, is a Democrat. A bill enacted in 2015 placed the Office of Charter Schools under the jurisdiction of the State Board of Education (of which the charter school board is a subgroup). But so far, little has changed. Although legislative leaders are pressing for a rapid expansion of the charter school sector, they have not boosted resources for oversight and support. Eleven new charters are scheduled to open in the coming weeks, and evidence is mounting that half or more of them will be starting out on thin ice. When North Carolina’s charter school movement got its start in 1997, the idea was to have nonprofit organizations run schools free of some of the bureaucratic constraints that govern local public schools. As with traditional public schools, charters are funded with tax dollars on a per-pupil basis, with some exceptions. Unlike traditional schools, they don’t receive public dollars for facility costs. Charter schools have broad flexibility to implement their own curricula, but whatever they choose must be robust enough for students to pass state end-of-grade exams. They don’t have to employ licensed teachers for all classes—50 percent is the requirement. And they also don’t have to serve lunch or provide transportation—a provision that may create a barrier for students from low-income families that rely on these subsidies. Movement advocates said the charters could serve as small laboratories of innovation. In theory, they would develop effective teaching techniques that then could be replicated and scaled up in traditional schools. The initial legislation capped the number of charter schools at 100, a limit that remained in place for 14 years. Once the cap was gone, charter schools increased in number at a fast clip. The 11 new ones scheduled to open this year will raise the total to 169. Along with the sector’s rise has been a shift in the narrative when it comes to charter schools, veering away from talk about laboratories of innovation toward a pitch that charter schools are a refuge for at-risk youth who are stuck in “failing” public schools. The rate at which charter schools are increasing in number hasn’t been fast enough for some of the movement’s boosters. In 2013, when members of the Charter School Advisory Board approved charters for only a few schools out of many applicants seeking to open in the following year, they encountered political fire. “The plan was to have [charter] operators come into the state like they did in Louisiana and other states and quickly affect the public school choice landscape for the better and in quantity,” said board member Alan Hawkes in an email to colleagues in late 2013. Hawkes, a founder of two Guilford County charter schools run by the for-profit National Heritage Academies, chastised his colleagues after they recommended approving just 11 of 71 applications, noting he had taken heat from Sen. Jerry Tillman (R-Randolph), a charter supporter, about the low number. In 2014, the state received fewer applications, but the next spring the board recommended that the State Board of Education (which has the final vote) approve a greater proportion — 18 out of 40. Today these charter schools that were approved in 2014 are now weeks away from opening their doors. The State Board of Education heard a report in July from state oversight officials on the progress of their preparations — and many were still not ready to open. Seven were cited for insufficiency in areas that include enrollment, financial information, and facilities, according to the News & Observer. “Here we are 30 to 45 days from opening and some key areas aren’t covered,” State Board member Greg Alcorn said before the vote. Even as the political appointees on the board allow more shaky charters to open, lawmakers have been slow to allocate additional resources to the Office of Charter Schools. OCS has just seven employees to oversee the 158 existing schools and to provide guidance and coordination to new charters preparing to open. There’s little help available for charters as they struggle to get up and running or run into difficulties later on. Deanna Townsend-Smith, a lead consultant for the state oversight office, told the Carolina Public Press earlier this year that no longer can a staff member make annual site visits to each charter school, as they once did when the cap was at 100. They now direct their site visits toward schools that have already made the list of those that are at risk of failing. StudentFirst Academy’s application to open contained a lot of red flags. Reviewers expressed concerns about inadequacies with the proposed budget, inconsistencies with the governance plan, and operation plans that suggested a lack of understanding in how to run a charter school. When the school’s leaders made their pitch in person to the Charter School Advisory Board, they answered some of those concerns with promises to do more or do better—and board members appeared to take them at their word. The circumstances were similar with Entrepreneur High School, another public charter school in Charlotte. It opened in the fall of 2014 with the goal of offering vocational-technical high school diplomas to at-risk youth, better positioning them for technical jobs right out of high school. But despite the school’s innovative model and pledge to “lead the way in exploring new pathways for North Carolina high schools,” Entrepreneur shut down just four months after it opened. The school’s founder and principal, Hans Plotsender, had projected in his pitch for a charter that Entrepreneur would initially attract and enroll 180 students, but a few months into the school year, only 30 were attending classes. When it closed in January 2015, the school’s bank balance was $14. Becky Taylor, a member of both the Charter School Advisory Board and the State Board of Education, said she had a gut feeling that this would happen. For a school like Entrepreneur High to experience such profound difficulties right from the start is surprising, given the lengthy vetting process before a charter opens. And once a charter operator gets preliminary approval, another year goes by that’s closely monitored by the state as the charter’s leaders begin to set their plan in motion — securing a facility, enrolling students, hiring teachers, and so on. Entrepreneur’s failure raises questions not only about whether the school’s leaders were prepared for the rigor and complexity of running a public charter school, but also whether state officials do enough to ensure that only the fittest are granted state money to operate. In Entrepreneur’s case, if you ask Tim Markley, the superintendent of New Hanover County Schools who served on the Charter School Advisory Board when it considered the application, the answer is a resounding no. “The application [for Entrepreneur] came forward two years in a row and I voted against it twice,” said Markley, who cited the application’s education plan and financial plan as problems that needed attention and improvement. The results of Markley’s and two others’ reviews of Entrepreneur’s application, according to a rubric posted on the Office of Charter School’s website, flagged the application for an unclear mission statement, an education plan that didn’t meet the rigor necessary for a school that targets an at-risk student community, a too-slim budget for staffing and professional development, and having school employees also serve as voting members on the board—not illegal, but not a best practice either. The reviewers also expressed concern that the school planned to employ a financial secretary only part-time and left the practice of balancing the books to Plotsender, the principal, who planned to do that “at least monthly.” No one at the school was charged with the day-to-day bookkeeping. Despite these reservations, the charter board voted to approve the school. But during the following year as Entrepreneur readied itself for opening, the school struggled. One month after winning approval, the school’s nonprofit governing board dissolved itself. The Charter School Advisory Board summoned school officials to Raleigh to explain themselves, but allowed them to proceed with opening. Entrepreneur never was able to attract enough students. It started the year out with about 60, not the projected 300, and in a few months half of them had left. Concrete Roses STEM Academy, also in Charlotte, was another first year failure. The charter school shut down 20 days into the school year, leaving 126 students scrambling to find new schools. The school had also drawn $285,170 in state funds, some of which went to pay for the school administrator’s cell phone, car, and other undocumented expenses. Once again, reviewers were concerned about parts of the school’s application right from the start. In an evaluation rubric, reviewers raised questions about the viability of the charter’s budget, including a $95,000 salary paid out to the school’s administrator, Cedric Stone, who was also listed as the chairman of the governing board. “Salaries are high -– therefore if trying to make significant impact then lower the salaries of administrators and pay higher salaries for high value teachers,” wrote Robert Landry, one of the reviewers. Other concerns were raised regarding the governance plan, enrollment projections that appeared unrealistic, and line items in the budget that didn’t add up. Some of the concerns presented by Concrete Roses’ reviewers were addressed by school officials at an in-person interview in front of the Charter School Advisory Board. In general, responses suggested that school officials would work toward ameliorating the problems; promises were made to tinker with budget line items, negotiate maintenance for buses going forward, seek donations for instructional software, etc. Ultimately, the state oversight board voted 7-5 to allow Concrete Roses move forward with opening, an unusually tight vote. When state officials visited Concrete Roses after the start of the school year, they found, according to the Charlotte Observer, that “teachers had not received an appropriate curriculum nearly four weeks into the school year, and the principal did not receive direction from the board of directors. The school also did not have Internet access.” The school shut down shortly after that visit. Some members of the Charter School Advisory Board recognize an emergent pattern and some of the factors that may be contributing to it. Board member Eric Sanchez, who runs a high-performing charter school in Henderson, said last spring that the charter school approval process is getting too subjective. The board’s decisions seem to come down to how much they like who stands before them asking to open a charter school, he said. The board is reviewing its own review process. Beginning this fall, it will revert to a system similar to one used in the past where subcommittees first review applicants before they are moved on to a presentation before the full board. But during those discussions, at least one board member, Becky Taylor, didn’t want one element of the charter application review process to return. “Let’s just not go back to when we spent 60 hours each at home reading these [applications],” she said. Board member Joe Maimone expressed similar concerns, but also noted that the state is giving charter operators millions of dollars of state money. Rochelle, the parent who took a gamble on failed StudentFirst, said that looking back, she’d caution other parents before choosing a charter school. The current level of scrutiny directed at charter school applicants is just not enough, she said. “If it’s a brand new school, I would make sure parents understood they are taking a big risk,” she said.